Mum's fighting back! 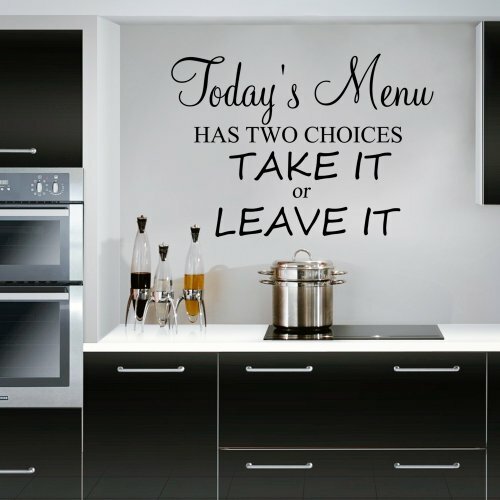 Our Today's Menu wall decal will add a touch of humour to your kitchen or dining room. Computer cut to the size you requested and delivered in one of 22 great and vibrant colours that can compliment and contrast with your current or new room decor. Wall stickers from Wondrous Wall Art make it simple for you to revitalise the decor in your bedroom, living room, bathroom, hallway, dining room, kitchen or workplace.